Photographs of majestic animals caught between two roles—and two eras. Co-published with Zócalo Public Square. In 2011, I visited the magnificent Amber Fort in Jaipur in the Rajasthan region of India. The beautiful Hindu-style architecture of the fort is adorned with large ramparts and cobbled paths that overlook Maota Lake, where elephants give tourists rides. I was enchanted watching these majestic animals as they slowly and meticulously walked among people and cars without a glance sideways. They were dignified and elegant, and I was fascinated by the textures in their skin, large tusks, and flapping ears. When a guide invited me to see a newborn elephant, I expected to be taken to an outside area with grass and trees. Instead, my traveling companions and I were led down an alley between tea stalls and mechanic shops to a warehouse with small slit windows. Inside, about six elephants were chained to the cement floor. I felt such distress at their plight that I had a difficult time cooing over the newborn. 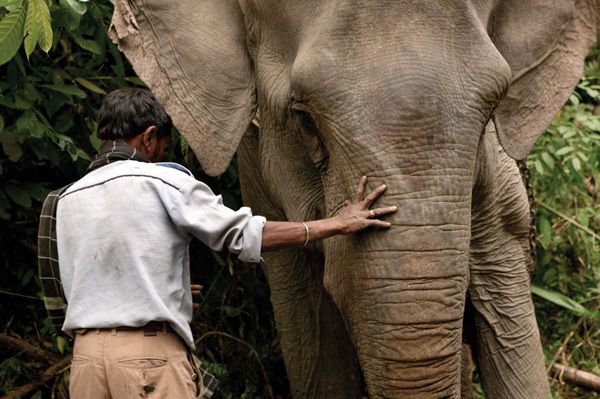 Each elephant had a mahout (elephant caretaker), who was barefoot and wearing threadbare clothing. I felt great sadness for both the elephants and the impoverished mahouts. They all seemed indentured to a life of hardship. There is an unusual dichotomy in the role of the elephant in Indian society. The animal is seen both as an enlightened, spiritual being and a beast of burden. This was what I wanted to explore when I returned to India five months later. Over the course of the next three years, I made four trips to various parts of India to photograph elephants and the culture that surrounds them. In 2012, I traveled to the mountainous border near Bhutan in Arunachal Pradesh. 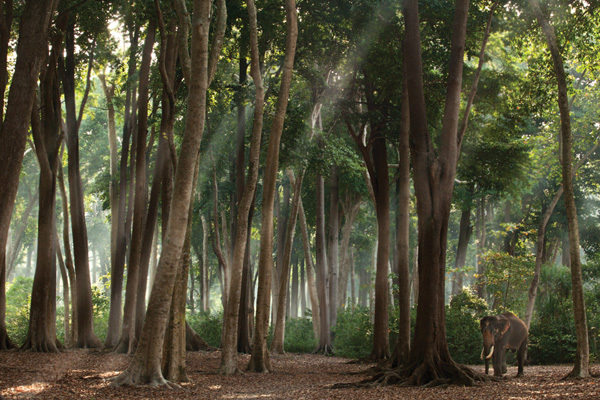 Though logging is illegal in Northern India, elephants have worked at logging camps there for hundreds of years. 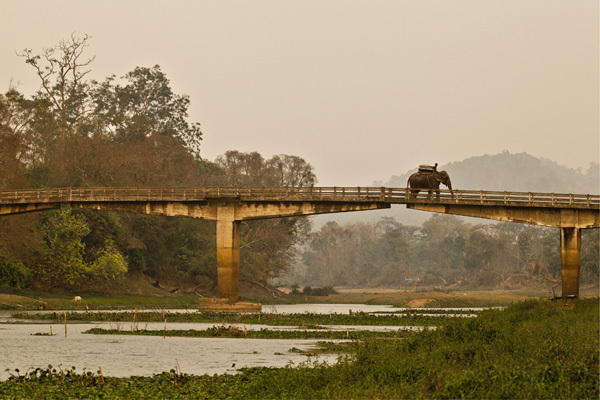 One day, as a guide and I hiked up the dry riverbed, a huge elephant appeared directly in front of us with a mahout on top of her. I had not seen nor heard her—it is amazing how quiet they are in the forest. The mahout offered to give me a ride, and I accepted, despite being a bit taken aback: There wasn’t a seat, just a well-used burlap bag stuffed with something soft and tied with worn ropes. The elephant bent her back leg on command, and the mahout extended his hand for me to climb on in my heavy hiking boots. I felt as if I was climbing a solid mountain. I was afraid I would hurt her, but she stayed perfectly still. Once I was seated, she walked briskly up the riverbed into the beautiful dense forest. She took smooth, even steps. Once I climbed down, the mahout straddled the elephant around her thick neck with his feet tucked behind her ears and gave short Hindu commands that sounded to me like grunts. 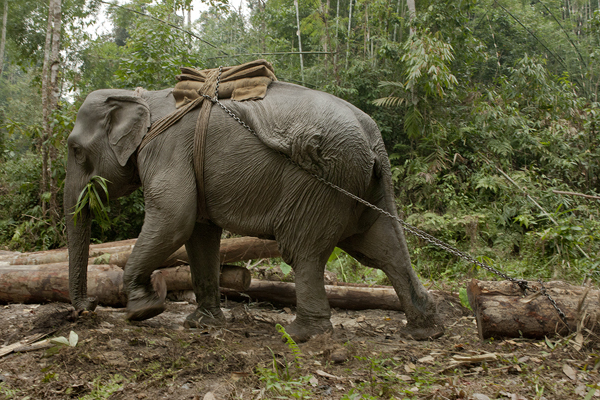 The elephant moved the huge logs into place with her trunk, stepped gracefully between chains behind her, and pulled the heavy logs behind her at unexpected speeds. She was graceful and worked tirelessly as I stood there photographing. At the end of the day, they returned to the camp to soak the elephant’s sores with freshly brewed herbs from the open fire and lead her to eat from a huge mound of palm fronds. 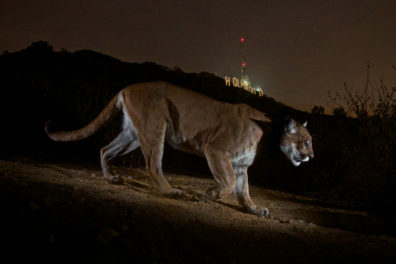 She was then free to roam the forest at night with her heavy chains. The next morning, the mahouts heard the chains dragging through the forest and recaptured her to work once again. On my travels to India, I also saw how elephants are respected as spiritual animals. Ganesh, the elephant-headed god, is venerated as one of the highest deities in the Hindu religion. 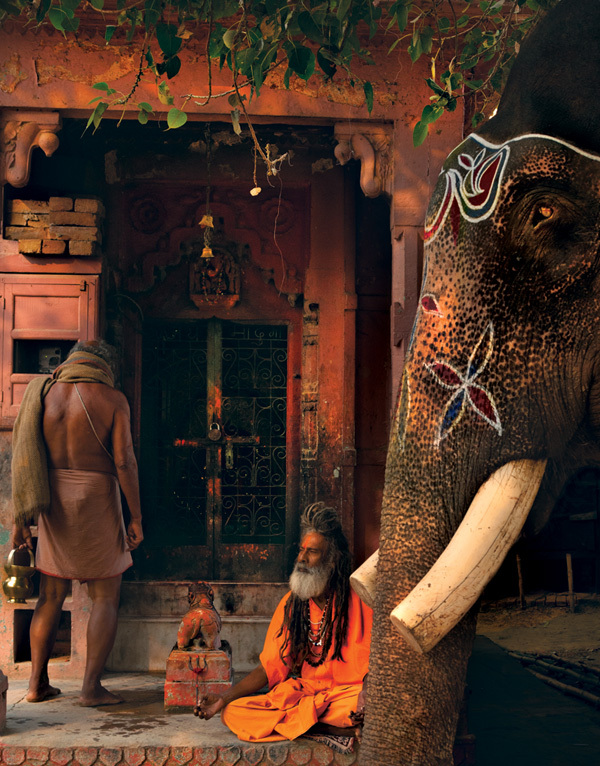 Many temples in southern India house an elephant for worshippers to visit. 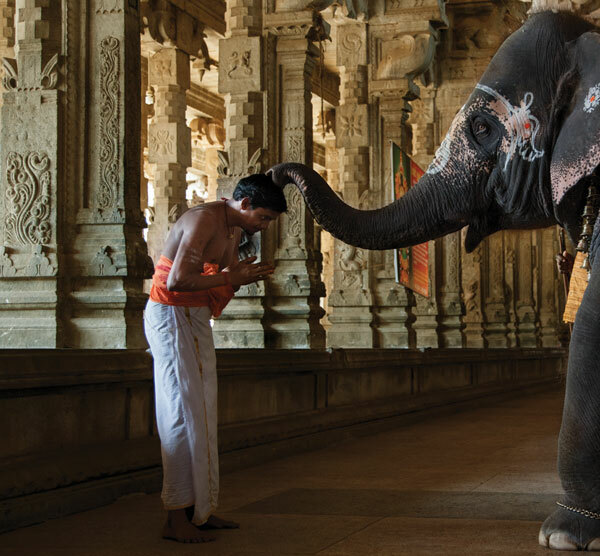 At Jambukeswarar Temple in Thiruvanaikaval, Tamil Nadu, worshippers come from far away to pray and be blessed by the temple elephant. 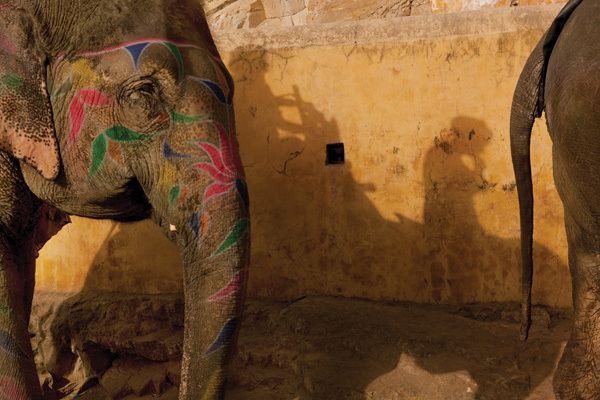 I watched as, one at a time, young children, elegantly dressed women, men in lungis, priests, and elderly beggars approached the beautifully painted elephant. Many people, especially children, were scared of the large animal, but eventually dared to approach her. They would offer a coin as a donation to the temple, and the elephant would take it with her trunk, hand it to her mahout, and then gently bless the person by tapping them on the head with her trunk as they bowed. At the end of the day, the elephant would rest her trunk in the lap of her mahout, exhausted from this repetitive movement. 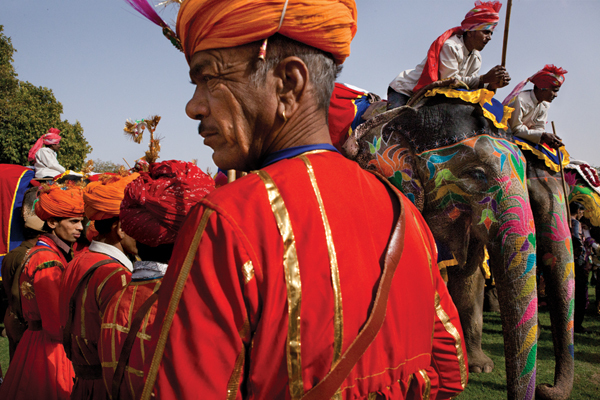 This collection of photographs is a cultural documentation of elephants in Indian society. The elephant’s role is changing as wildlife conservation and concerns for the health and safety of domesticated elephants grow. This complex and majestic animal, with her intelligence, intricate social hierarchy, and highly evolved communication skills, is caught between the past and the future. Shadowing the elephant’s path throughout the most remote corners of India has been an extraordinary adventure, and it has been a privilege to spend time in her world. I spent spent three years (2011–2013) traveling back and forth to India from my native city of Miami, Florida. My book India’s Elephants captures the world surrounding the lives of Asian elephants in Indian society. 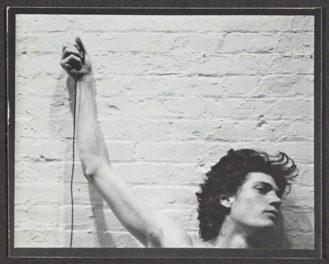 Buy the book: Skylight Books, Powell’s, Amazon. 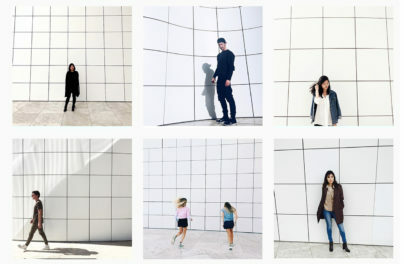 These images are beautiful and what a great, interesting article!